Eleanor Roosevelt once said, “Learn from the mistakes of others. You can’t live long enough to make them all yourself.” Although my father might tell you I sure gave it “the old college try,” I have learned over the years that it is far better to try to avoid the mistakes that other people commonly make. This is a follow-up article to my March 29, 2014 article entitled “Caregivers Are Fiduciaries!! !” Since it seems inevitable that more and more adult children will be assisting their aging parents with their finances in the not so distant future, I would like to point out the three biggest mistakes that families commonly make that you will want to avoid. Conservatorships are generally used for elderly individuals with dementia or Alzheimer’s disease or mentally ill individuals who are gravely disabled and lack mental capacity. Mental capacity has to be determined by a medical physician or a psychiatrist who is experienced in the field. The diagnosis must be documented and provided to the court as evidence. The mistake of not having a valid durable power of attorney could cost the family $8,000 to $10,000 (more if it is contested) in a costly conservatorship proceeding. If your parent is in a nursing home, you may be out another $20,000 to $50,000 in nursing home bills before you are able to qualify for Medi-Cal. A durable power of attorney for assets is the best way to avoid the need for a conservatorship proceeding in the event of incapacity. In addition, make sure your parents also have a health-care decision-making document, such as a “Health-Care Power of Attorney.” It will give you authority to make medical decisions for them when they can’t. Let your parents’ doctors know you have this document. Your parents might also have to sign a Health Insurance Portability and Accountability Act (HIPAA) release form to give you access to their medical documents. MISTAKE #2: NO LIVING TRUST. Now, I realize that many Rafu Shimpo readers have been told by their “family attorney” that they do not need a living trust because their estates are too small. “All you need is a simple will,” they are told. Most of the time, this is terrible advice. In California, only estates of $150,000 or less will avoid probate without a living trust. If the total value of the estate (the assets that can’t be transferred to heirs via joint tenancy or pay-on-death (POD), or the like), is less than $150,000, probate is not necessary. Inheritors can claim the assets with a simple sworn statement (affidavit). However, if you own your home and pass away without a living trust, you’re sending your family to probate court. “But Judd, why was I told that I didn’t need a living trust?” Perhaps there was some confusion on your part (or the attorneys’) between avoiding probate and eliminating federal estate taxes upon death. For example, if your estate is over $150,000 but under the current estate tax exemption amount of $5.34 million, your estate will not have to pay any federal estate taxes upon your death. So having a living trust is not necessary to provide savings on federal estate taxes — it’s still zero. But you still have to pay attorney fees for probate since the estate is over $150,000. “Say Judd, are you saying that my attorney told me I didn’t need a trust because he’s going to make more money in probate attorney fees?” This is hard to say, but “YES.” In most states, lawyers charge by the hour or collect a flat fee for probate work. Not so in California. It’s one of only a few states that let lawyers charge a “statutory fee” — an amount that is a percentage of the value of the assets that go through probate. But wait, what if there’s still $200,000 to pay on the mortgage, reducing your equity to $400,000. Would the attorney’s fee still be $21,000? Actually, “Yes,” it’s based on the gross amount of the probate assets, not what you actually own. This means that probate lawyers’ fees can be very high in relation to the amount of actual work done. MISTAKE #3: NO ADVANCED PLANNING. Making legal plans in advance is important to cover all the “what if’s” that accompany growing old, e.g., “What if I get Alzheimer’s?” or “What if I become incapacitated?” Early planning allows the person with dementia to be involved and express his or her wishes for future care and decisions. Legal and medical experts encourage people recently diagnosed with a serious illness — particularly one that is expected to cause declining mental and physical health — to examine and update their financial and health care arrangements as soon as possible. This eliminates guesswork for families, and allows for the person with dementia to designate decision makers on his or her behalf. When possible, advance planning should take place soon after a diagnosis of early-stage Alzheimer’s disease while the person can participate in discussions. Early planning also allows time to work through the complex legal and financial issues that are involved in long-term care, such as how to pay for long-term care and protecting the family home from a Medi-Cal estate recovery claim. Finally, even if the doctor has written a letter stating his “opinion” that your parent lacks the capacity to handle his or her own financial affairs, you may still have time to act. Contrary to popular belief, people with early-stage disease are often capable of understanding many aspects and consequences of legal decision-making. But you’d better not procrastinate too much longer. In most cases, if a person with dementia is able to understand the meaning and importance of a given legal document, he or she likely has the legal capacity to execute it. However, since the requirements of legal capacity can vary from one document to another, ask a lawyer what level of legal capacity is required for a person to sign a particular document. Judd Matsunaga, Esq., is the founding partner of the Law Offices of Matsunaga & Associates, specializing in estate/Medi-Cal Planning, probate, personal injury and real estate law. 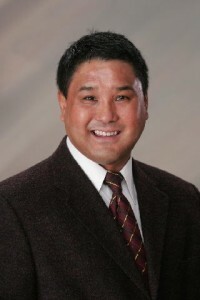 With offices in Torrance, Hollywood, Sherman Oaks, Pasadena and Fountain Valley, he can be reached at (800) 411-0546. Opinions expressed in this column are not necessarily those of The Rafu Shimpo.